We want to be the preeminent institution in the world for Ei – Entrepreneurship IntelligenceTM – and known for it. We want the next generation to be independent thinkers, visionary creators and social innovators to create value for the society, nation and the world. Maxplore is committed to empowering today’s youth with an Ei – Entrepreneurship IntelligenceTM for facing the unknown future challenges. Maxplore will carry out this mission by connecting the right minds, the right ideas and the right values across generations, students, educators and society. 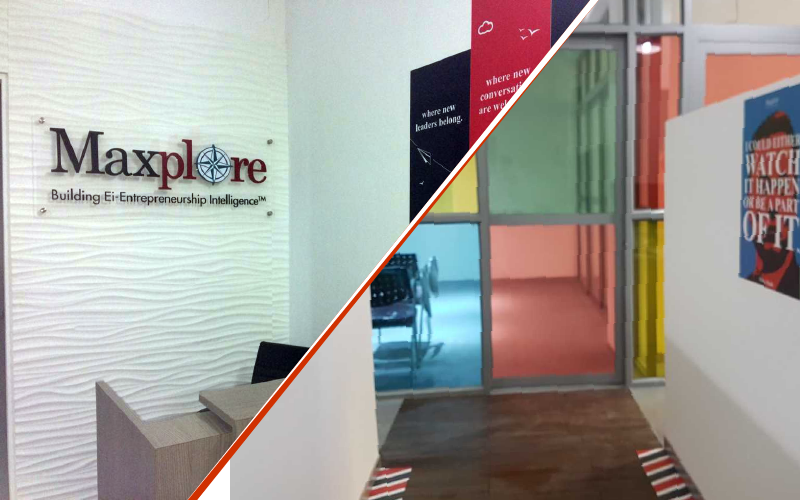 Maxplore Centre for Entrepreneurship is an institute of textbook-free learning established to equip school students and unconventional entrepreneurs with Ei – Entrepreneurship IntelligenceTM to help overcome new challenges and be successful future leaders. The team of Maxplore noticed a void in the current academic structure and sensed the urgent need for creating a shift in the realm of school education by providing parallel learning. In a few years from now, India will be one of the youngest populations in the world, and we will need to have more jobs for the youth than other countries. Ei – Entrepreneurship IntelligenceTM is not just about setting up a business or building a start-up. It is a creative, problem-solving thought process that leads us to a win-win situation. It can be applied across activities, be it sports, providing healthcare services, developing software, making films, creating music, running restaurants and hotels, interior designing, for architecture or even managing a household. Once one has developed EiTM, it can be applied to academics, managing pocket money or engaging in extracurricular activities and projects, and eventually shaping their careers. Entrepreneurial thinking is about looking at any given challenge or situation differently, so as to provide an innovative yet practical solution to it. But when we talk about looking at things differently, what exactly do we mean? It is often easy to expect a particular outcome or approach however without the correct process, guidance or tools, the manner of achieving the outcome remains ambiguous. Accordingly, at Maxplore we have developed our unique proprietary approach for developing Entrepreneurship IntelligenceTM so as to look any given challenge or situation differently. It is called the Coloured Glasses TheoryTM in order to look at things differently. 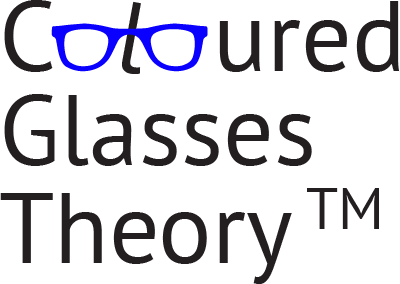 The Coloured Glasses TheoryTM is a method of having a particular perspective, thought process, vision or view for thinking like an Entrepreneur or having an entrepreneurial mindset. Each distinctly coloured pair of glasses denotes a focussed way of looking at things differently. Each coloured glass can be used in a particular sequence starting with the Black then Yellow, Blue, Red and Green or they can also be used independently and individually to practice the thought process represented by each of the Coloured Glasses. Learn, share and discover various aspects of Entrepreneurship with programs, workshops, networking events, business-plan competitions, startup support, innovation programs, seminars and more. We are almost at the threshold of 2020. What was merely fantasy in science fiction films and books yesterday, is already a reality of our times. Artificial Intelligence has seeped into our daily existence, and with smartphones, robots and automation, we are witnessing a shift in possibilities. As a teenager, did you ever think you could have a live, wireless video conversation with your friends and family living in continents thousands of miles away? Did you even imagine it was possible to carry a phone around in your pocket wherever you go, which could also take pictures, play the radio or movies, send emails and organize your files any time you wanted? Today, technology is rapidly changing the socio-economic fabric of society. Gender roles are being redefined. Virtual reality is something we now take for granted. Manual tasks are mechanized, and classrooms have been taken over by software driven lessons. Things we could barely imagine twenty years ago are already outdated. While our textbooks still contain stories of historical heroes or wars that happened hundreds of years ago, our present and future is changing by the minute. Leaders and changemakers are struggling to deal with complex challenges that were not forecasted by experts earlier. Trying to imagine the speed of change a mere dozen years from now, is unfathomable already. When the future cannot be predicted or even defined, any forward analysis is just guesswork. Till the 1990’s, any change in technology or services would last for at least a decade or two. Even durable goods like refrigerators and television sets easily had a shelf life of an average 15 to 20 years. But now, gadgets we have been using for 2 or 3 years are getting redundant. Change is not just rapid, but radical. What will replace smartphones by 2030? Will we be using flying cars to commute? Will space travel be a reality for the average person? Will robots replace real people at the workplace? These questions appear far-fetched now, but in a few years we will have received concrete answers. As teachers, educators, parents and mentors, are we doing our best to prepare the young minds to be ready for tomorrow? Have we given them the tools, technology, and most importantly, the appropriate mindset to adapt and be future-ready? Are we ensuring that they have employable skills when they’re adults? Or are we holding them back from spreading their wings? Let’s raise a generation of thinkers and changemakers: As their role models and guides, what we can do, is steer their minds in the right direction, while teaching them to have an entrepreneurial mindset. We are committed to prepare our students to face the future with confidence. Our balanced approach sees to it that the needs of every child is met. We strive to provide our students with learnings that are not provided in any regular courses and studies but are very important to build a strong foundation for the future. 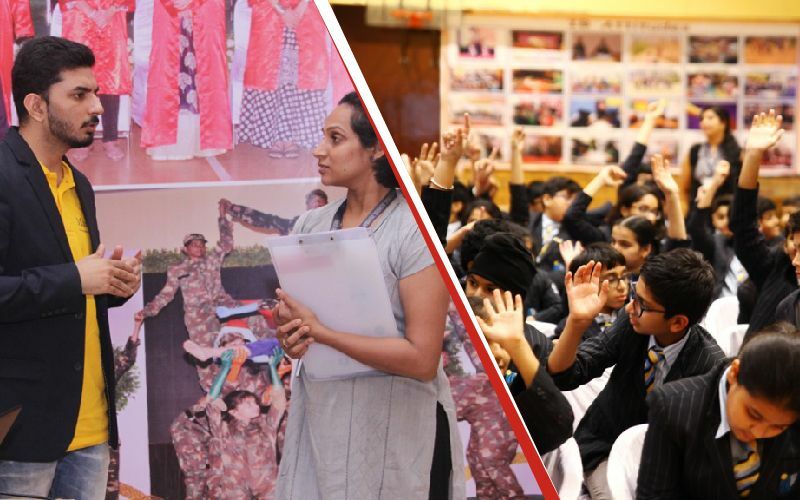 Our programs are designed in such a way that gives students, freedom to learn at their own pace as well as exercise freedom to practice their learnings. Our curiosity is what drives us to explore and research different ways that can make our programs better. Through our programs we also encourage students to satiate their curiosity. We understand our students and have an empathetic and patient approach towards them. We put our heart and soul in every initiative that we take.